Any volunteers translate foo_uie_esyric to English ? 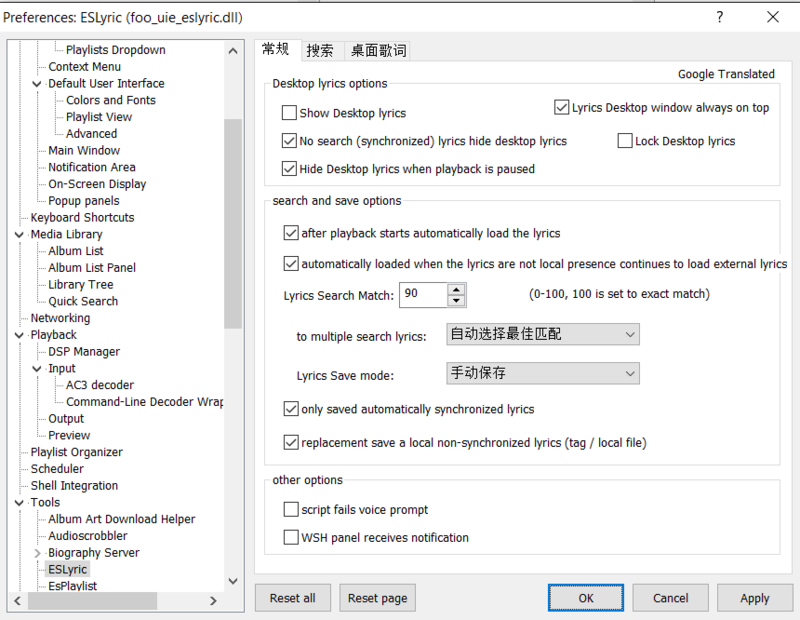 - use JScript language to grab lyrics from online websites. A rose will bloom, it then will fade. Re: Any volunteers translate foo_uie_esyric to English ? 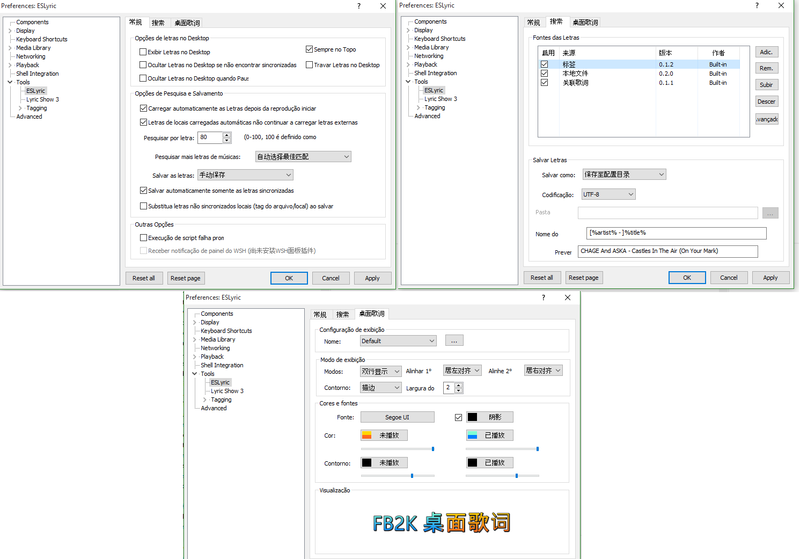 i have previous version customized into russian, but as for me google translate "chineese=>english" is much more better then "chineese=>russian" and of course "chineese=>russian=>english". // Called when the lyrics get source information, the return value is the lyrics source name. // Called when the lyrics get source information, the return value is the lyrics source version. // Called when the lyrics get source information, the return value is the original author of the lyrics. // Called when lyrics search. // Parameter 'info' of ITrackInfo object，callback of IESLyricCallback object. // When a search filter is enabled, the call lyrics search. // Parameter 'tf' is ITitleFormat object. // Return false is disabled / not filtered current track lyrics search, lyrics search returns true then ignored the track. 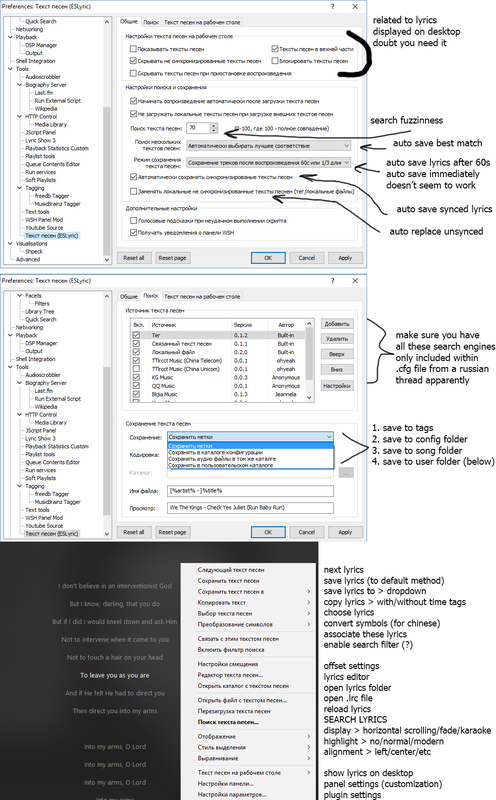 // Search lyrics calling for acquiring title content search using lyrics. // Returns the corresponding lyrics for subsequent search keyword string. (Read, Write) String Artist; // Get lyrics artists, this required two pieces of information, or it may be filtered ESLyric. 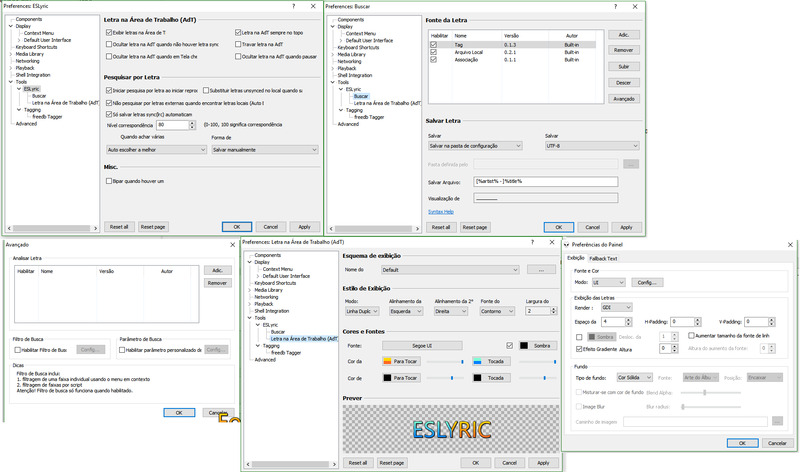 (Read, Write) String FileType; // Lyrics file type, default "lrc"
ILyricInfo CreateLyric(); // Create a new lyrics object. void AddLyric(ILyricInfo lyric); // Add a new lyrics. void AddPostData(name,value); // Adding POST data, only the "POST" under effective manner.. String Run(url); // Failure (connection error or an invalid response, etc.) returns an empty string. String LCMapString(src,lcid,flag); // LCMapString API Package. IHttpRequest CreateHttpRequest(type); // Parameters: request type, currently supported: "GET" and "POST". String Eval(expr); //According to the current track 'expr' be TitleFormat, return results. // Lyric filetype, default is "lrc"
I tried to translate it's document days before. I found that someone had translate ESLyric to Russian, link here. Sharing my attempt to translate to english. Only the Preferences Dialogs are translated to english with google translate. Me too, for portuguese from Brazil. Obrigado!!!!!!!!! u got more "fonts" script? No. Eu vou refazer a tradução, usando como base a versão em inglês.